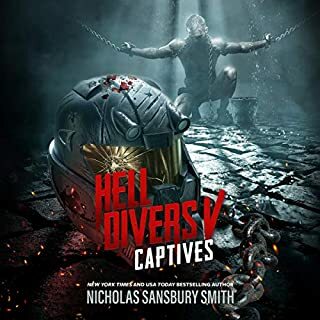 The best-selling Extinction Cycle series by Nicholas Sansbury Smith first introduced listeners to a world ravaged by an engineered virus that turned men into monsters. Billions died, civilization collapsed, and the human race teetered on the brink of extinction. Humanity's only hope was not a cure, but another bioweapon. When deployed, it killed 90 percent of the infected, but the remaining 10 percent transformed into even more terrifying creatures called Variants. 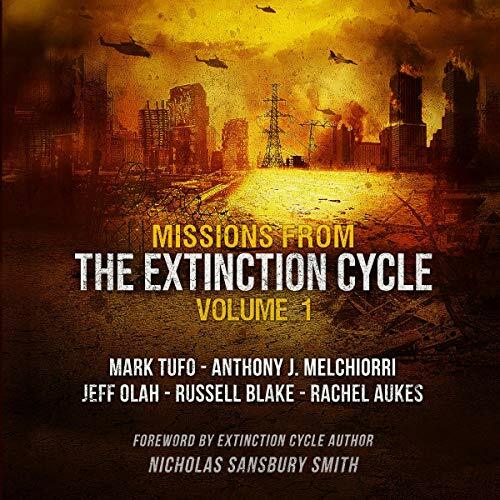 Mark Tufo - "Extinction Trippin'"
Anthony Melchiorri - "Darkness Evolved"
Jeff Olah - "The Bone Collector"
Russell Blake - "Extinction Thailand"
Rachel Aukes - "The Fall of Fort Bragg"
©2019 Jeff Olah, Mark Tufo, Rachel Aukes, Anthony Melchiorri, and Russell Blake (P)2019 Blackstone Audio, Inc.
To have a few of my favorite authors in one place was awesome! I loved this book!! I was engaged from the moment I started listening and could not put the book down! It left me wanting more!! All it takes is all you got! Loved these stories. I was really excited to listen to them after reading the kindle versions. Bronson Pinchot does a great job bringing them to life. My favorite had to be Darkness Evolved but I'm also a big fan of Anthony Melchiorri. Check this collection out for a great price and strap in! Five fabulous stories in one terrific, heart-pounding anthology. 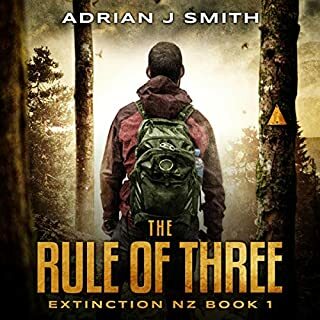 I devoured these spin-offs of the popular Extinction Cycle Series. Each author has his/her own twist on the Variant apocalypse and every story is a total delight to read. 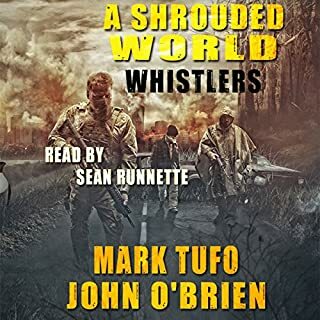 If you are a fan of the post apocalyptic genre, grab this jewel ASAP. 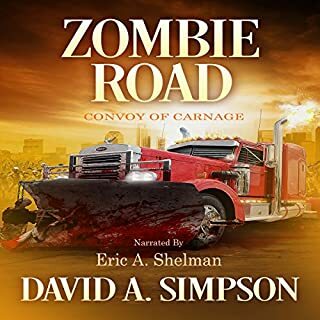 Excellent collection of stories! My favorite is the Bone Collector by Jeff Olah. Man, Bronson really brought it to life! Great stuff! There are so many other good stories too and for the value of one credit this is an instant click for me. Excellent addition to the whole series! This is such a cool series of stories. 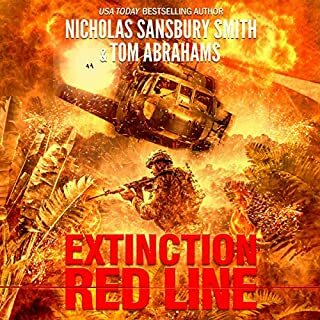 The Extinction cycle is my absolute favorite series of books from Nicholas Sansbury Smith. It's one of the first series I've read from him and it is so well written, so immersive, so full of action, content that you literally are engrossed the entire time you read them. These side stories written by incredibly talented authors adds a different view of the whole cycle. I love this, it's such a cool way to expand the entire world that the series portrays. The writing is spot on in all of these. When they did this as a Kindle World bit it was amazing but to have some of them in one book.... awesome. And for the price? An absolute steal. And Bronson Pinchot is FABULOUS reading these. All these stories are awesome. I love the E-Cycle books. These stories bring it to another dimension. The authors in this collection capture the original story and even makes you feel for the variants. This book of short stories and novellas perfectly adds to the original storyline perfectly. It helps to give the original stories more demension and helps to build on the character lines. Sometime the stories are told from the voice of the humans fighting for their lives and sometime it is told from the viewpoint of the variants. The voice of the narrator helped to make the story believable. All told this is a great set of stories and keeps you involved in the original storyline. Excellent collection. The expanded tales from other authors are a great addition, and hearing things from their point of view really adds to the series. I hope there are more of these collections in the future. 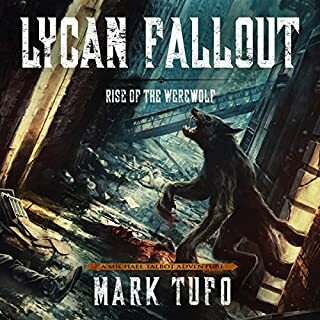 Ok to be honest got this for Mark Tufo section but all the stories were very good all 5 stars Mark of course gets 6 stars but if you like the extinction cycle series this is really good. I was gripped all the way through, sorry there was a cheer when Marks story came on but honestly they were all good and well worth downloading as soon as you can. the attention to detail is superd. I could not stop listening. A truly gripping novel. I just loved the switch from human to variant.